The best of the best in the realm of ERP suites do a great job (when implemented properly) of keeping your business competitive and shipments/orders on time. Many even have Customer Relationship Management (CRM) modules to help the sales team stay on top of prospective deals and in touch with current clients. Some (including SAP Business One) have optional advanced inventory optimization features that take into consideration seasonality, prior trends and so forth. After all, these days no business owner wants to overstock. On the other hand they are bound and determined to insure that service levels don’t drop as the amount of inventory in stock does. 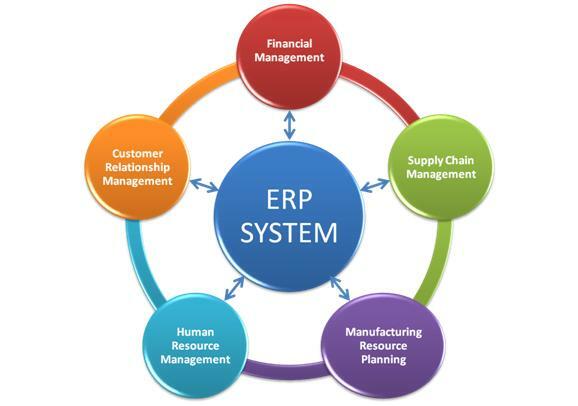 So ERP systems have improved the business landscape to a large degree and can certainly boost productivity…when implemented properly. At ACUMEN Corporation we are sticklers for proper implementation. In fact we built our reputation on “doing it right the first time”. That said, if you would like to learn a little more about how NOT to implement an ERP suite take a look at our blog called “Epic Fail” below. Trusted by nearly 50,000 customers, SAP ERP supports business processes in 25 industries, 37 languages, and 45 localizations. Offering role-based access to critical applications, data, and analytical tools, our enterprise resource management software has a proven track record of driving competitiveness and streamlining business processes. Would you like to know how to begin implementing? Click here for our pricing and Get Started Guide!